Larkfield Manor is an idyllic setting for your wedding even, and we can help you make the most of all the wonderful photo opportunities the venue has to offer. We pride ourselves on our ability to create wedding pictures that encapsulate the romantic essence of these precious moments, pictures that you will look at again and again as the years go by. The day you exchange your wedding vows is one of the most important in your life. When you let Larkfield Manor host your wedding, you, your groom and your guests can rest assured that your celebration of union and a new life will be a truly memorable occasion. The style of Larkfield Manor is inspired by Italy’s Tuscan villas. The venue’s professional team invites you and your family and friends to join together in love, friendship, and joy. If you’re looking for an event space that has elegance without pretension, look no further. The manor’s old world style, afforded by the stone facades and timber fireplaces, creates an ambiance of days gone by, while at the same time, giving the venue a comfortable, homely feel. As soon as they arrive at the main entrance, your guests will feel welcome in the spacious hall with its roaring fireplace. You and your bridal party will have a private room, as will your groom. No matter whether you are having an extravagant banquet or an intimate affair, Larkfield manor can accommodate. The venue offers three ballroom options for your wedding party. The Borgese Ballroom: This 4,032-square-foot space can accommodate up to 450 guests. This ornate room is sure to impress. The Sorano Ballroom: This 2,100-square-foot space can accommodate up to 150 guests. This room is perfect for an intimate affair. The Villaggio Ballroom: This 4,032-square-foot space can accommodate up to 475 guests. The room has high-vaulted ceiling and stylish décor. 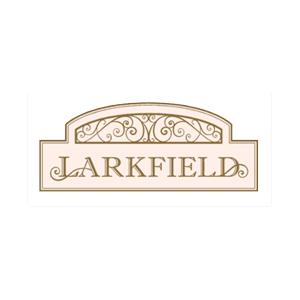 The Larkfield provides professional wedding planners and banquet managers to help coordinate your event. They can help you organize everything from floral arrangements, menu tasting, entertainment, vendor services, and transportation. They will be with you every step of the way to make sure that your wedding event is seamlessly coordinated, so you have absolutely nothing to worry about, and you can focus on your special day. Larkfield Manor has an in-house live band that will play a wide range of your favorite songs whether you want traditional or contemporary tunes. For your wedding ceremony, you have the choice of a string quartet or a harpist. When it’s dancing time, your personal MC will oversee everything. Call us, and we will arrange a time and a place to meet. We can talk about your Larkfield Manor wedding and your vision and expectations for your wedding photographs. You can also take a look at our portfolio so you can get an idea of our special talents.